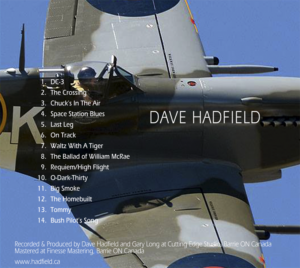 Home Uncategorized DAVE’S NEW RECORDING “CLIMBIN’ AWAY” IS AVAILABLE in cd or digital download! No one has ever done anything quite like this before! 27,000 hours of flight time have been distilled into 14 songs about flying. From airliners to aerobatics, from seaplanes to spaceships, Dave’s flying songs are totally unique. Great stories, evocative melodies, and aviation — unique, creative, and marvellous! Beautiful Video of song: “The Crossing“! “Skies” Magazine liked the song so much they asked social media for photos from pilots. Then put them together in this wonderfully evocative imagery, capturing the essence of the song.